So far, 2018 has been the year of recognitions! For the second year in a row, I have been honored by being named one of the Top 40 Food Allergy Blogs from Feedspot! And I rose up 6 spots! 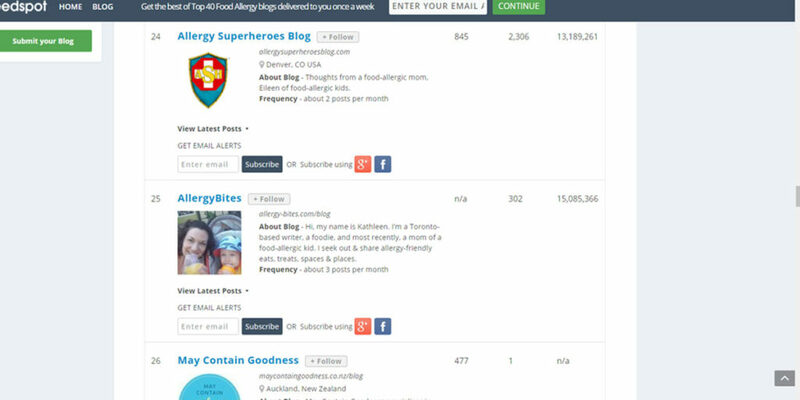 I’m so happy to be in the company of so many amazing food allergy bloggers. But I certainly can’t get here by myself, so Thank You All so very much for reading along and helping me to get here! I’m glad to know that people appreciate me using my experience as a food allergy mom and patient to help make your life a little easier.